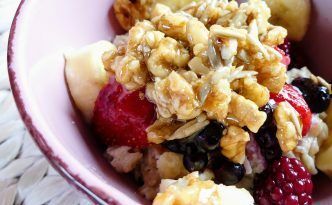 Now that the days are getting more and more grey the healthy and delicious porridge with berries is the best way to start into the day. 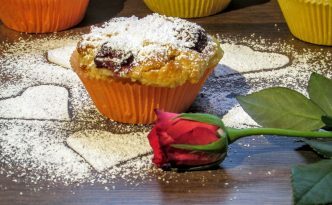 The Cherry Muffins with Vanilla Pudding are elaborated in their preparation, but you will be rewarded int the end with these delicious and eye-catching muffins. 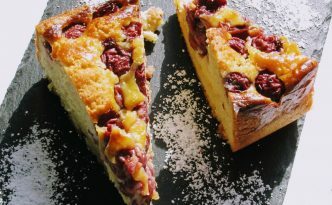 The Far Breton with Apricots and Cranberries is a French dessert that can be served as complete lunch as well as a warm dessert or a cold cake with coffee. You can serve it “Comme vous voulez”. 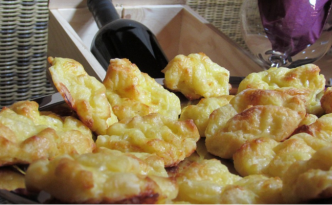 The simply irresistible small cheese biscuits are a perfect snack as well as an appetizer, which you offer to your guests with an aperitif or with the kitchen wine. The only problem is that your guests won’t be able to stop eating these small cheese biscuits. 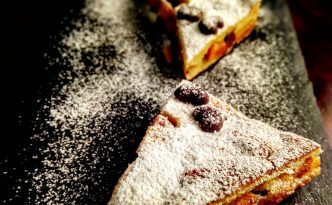 The homemade cherry pie with marzipan is easy to bake and has that certain indefinable something.